Dominique Loiseau is a woman of many talents. Trained as a biochemist, teacher and food specialist, she met Michelin-starred chef Bernard Loiseau in 1986. Together they managed his hotel and restaurant La Côte-d'Or. (now called Relais Bernard Loiseau). Three children and a third Michelin star later she was appointed hotel director, then administrator of Bernard Loiseau S.A. when the company was listed on the stock exchange. 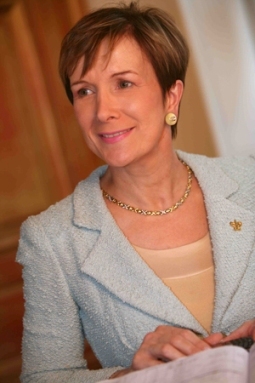 In 2005, Dominique Loiseau was appointed Vice-President Relais & Châteaux, reporting to President Jaume Tàpiès, and working with Michel Roux (The Waterside Inn, Bray, UK), Robert Gagnon (L'Eau à la Bouche, Canada) and Patrick Henriroux (La Pyramide, Vienne, France). She is the first woman ever to hold this position. You now have vast experience in the hospitality industry, how does a biochemist get into the hotel business in in the first place? When I got my Masters of Biochemistry, I spent all my time with a microscope, without other people. I felt like I was in a prison, and people said to me: "You should be a teacher". I went on to get teaching qualifications and got a job with the Hotel School in Paris. I loved working there but I realized that the courses were a bit complicated, so I wrote new books and courses for the hotel schools. A trade magazine saw them and asked me to write for L'Hôtellerie, and I found myself a new job. The office was on the Champs-Elysées, and my career felt like a dream come true, especially for someone who grew up in a very simple family in Alsace. Then one day, I met my future husband, Bernard Loiseau. We married and initially I lived in Paris and Bernard lived in Burgundy at his restaurant, La Côte-d'Or. Bernard was very famous, he had then two Michelin stars. After the birth of our first child, Bérangère, I joined him and began my next career, doing the books and organizing the business for the restaurant, all the things Bernard didn't like to do. I think initially the restaurant team weren't very pleased with the arrival of a Parisian journalist, by the way, but they came around. It wasn't easy to begin with, but it was exciting time and we had so many ideas and projects and dreams of a third star. Bernard got his third star in 1991 and our second child, Bastien, was born the same week. I ran the office and I learned the business over the next 15 years. I think it helps that I didn't go to hotel school. I always look at my business as a client. And I love the property so much that when my husband died, I couldn't walk away. I took charge of the restaurant and hotel. It's mine now. What is the single best/defining thing about Relais & Châteaux properties ? Authenticity. It's there in the welcome, in the décor, in the cuisine. There is nothing show-off in our properties. We're never try-hard. We just care about excellence, in the garden, in the food, in the decoration, everywhere. I don't really like this word 'luxury'. What we sell is an experience, that's the real trend in modern travel. You can have a wonderful experience in a lodge in Africa or a chalet in Switzerland. In my property we try to deliver the whole experience. Intimacy is another thing that is becoming increasingly important to people. It's the warmth of the welcome. At Relais & Châteaux, we never forget the "'inn-keeper', the person behind the business, the maître de maison. Without this, we never accept a property as part of Relais & Chateaux. This is a very difficult question! But if I must choose, I would say, Gidleigh Park in the U.K. It really is the ideal Relais & Chateaux. The cuisine is incredible, two Michelin stars, but to be honest I think it is a three. The chef used to work under my husband and he is such a talent. It's a village not a city and it is called Flavigny, just 50 minutes from my place. It's one of the most beautiful villages in all of France and it's where they shot the movie Chocolat. It's even been classified by the government. I would like to have a house there. Well, I would have to say in my own restaurant of course. 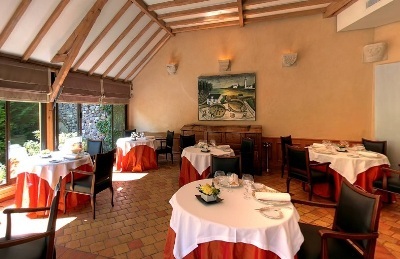 The one thing I am missing on my travels is Le Relais Bernard Loiseau. You must understand, my pastry chef is extraordinary! I really love Cathay Pacific. It's really like having a little house of your own. I was so happy and I slept so well. I never travel without a travel pillow, my make-up and my blackberry. One is for comfort, one is to look nice, the other is to stay connected. I love that I can take a photo and sent it to all my children. I took photos of everything I ate in Cambodia. The last two weeks I have spent on a roadshow with Relais & Châteaux team have really been unforgettable, incredible. Every two days, we discovered another country. Asia is simply incredible and Australia is so different again. Can you imagine, growing up in Alsace, a place that no-one ever left, and I just used to look at magazines and dream. I love travelling. Money can buy you the chance to stay in the best properties in the world, such as the top floor of the Ritz Carlton in Tokyo, for example. The manager there is one of my ex-students. I meet them all over the world, which is lovely. Money can't buy family, and that's the most important thing in life.